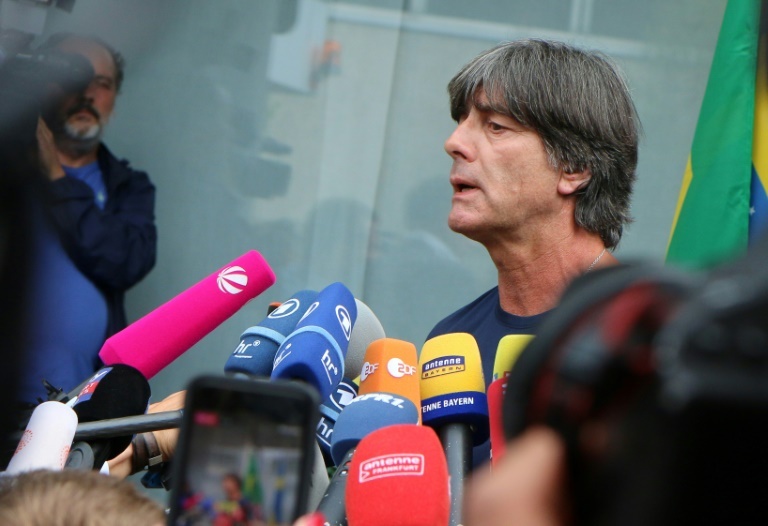 Both Germany's best-selling daily Bild and Sport Bild magazine say the 58-year-old will stay on to rebuild the national team, which finished bottom of their group in Russia. It was the first time since 1938 that a Germany side failed to get past the first round at a World Cup finals -- a huge dent to Loew's reputation after 12 successful years in charge. "It needs far-reaching measures, it needs clear change," Loew said last week when Germany arrived home in disgrace. That was "a problem for some players" as Loew had said he would only use those who were playing well regularly. Other complaints included Loew giving priority to established players, the choice of Germany's isolated World Cup base in south-west Moscow and the poor handling of the pre-World Cup scandal involving Mesut Ozil and Ilkay Gundogan.